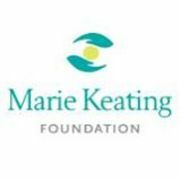 Following their mother Marie’s death in 1998, the Keating family promised that they would do everything they could to bring an end to cancer. They committed to provide all families with the necessary information to prevent cancer or detect it at its earliest stages. The mission of the Foundation is to make cancer less frightening by enlightening. The Foundation provides support to those affected by cancer through a variety of programmes and services.